This was my 4th year serving as a judge for the KCBS Texas State Championship contest. My how this little contest has grown. This year there were over 90 teams competing. 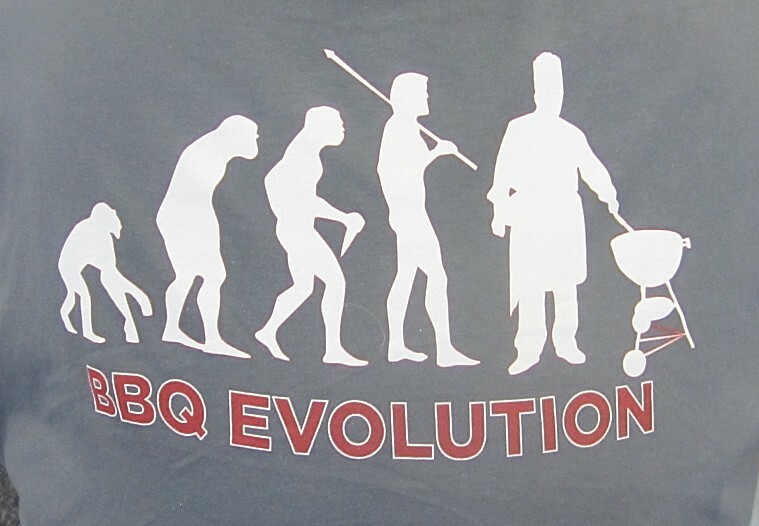 It has now grown to the 5th largest KCBS BBQ contest in the country. Quite an achievement in just a few years. Unfortunately, there are still less than 5 KCBS contests in the whole state each year so there is still a lot to do around Texas. IBCA is strong in Texas and they also do a fine job with the many BBQ contests they run. The large number of competing teams required a large increase in the number of judges. 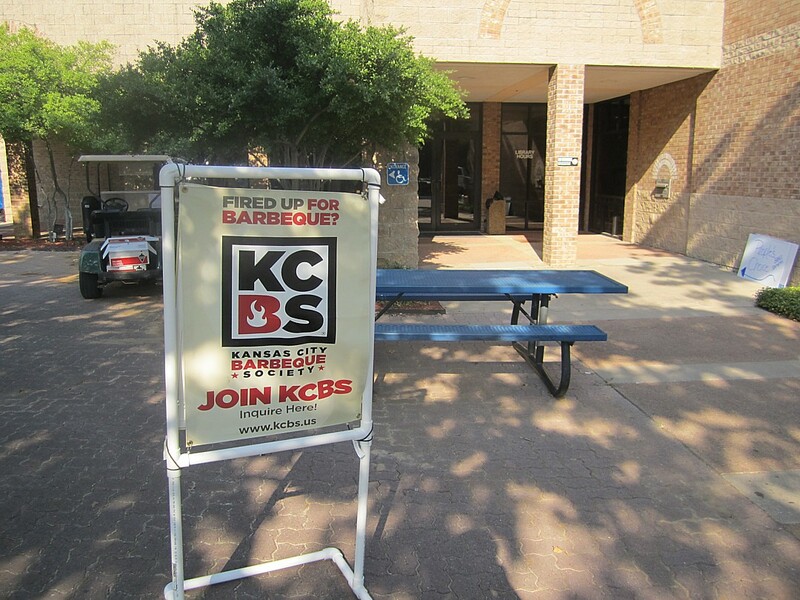 Fortunately, KCBS has been holding their judge certification classes at Bedford each year since they started. That has helped build a decent local crew who are trained, even if they do not get to judge a lot of contests. There were 16 tables of judges today and many had table captains doing "double duty", ie. judging plus table captain. I think they were close to the 90 judges they needed. The KCBS reps announced we had judges from 17 different states in the room. The facility continues to be the old Bedford Library building and the air conditioning was wonderful. Outside it was 104. They only had one restroom facility but there were 3 porta-johns out front. I can testify that those were very toasty. Check in at 10 am was very quick and efficient and the judges gathered at their assigned tables. 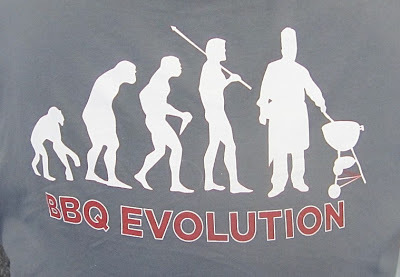 After the usual game of musical chairs to fill empty seats, the KCBS reps went through the welcome, the official rules recording, and we then took the BBQ pledge. The table captains had their meeting then we had about 30 minutes to kill before food started arriving. Chicken was up first at 12 noon. Nothing much to report in this category from our table, other than the health inspector has decided that from now on, no chicken would leave the room. So much for the plastic bags and cooler on that meat. Probably a smart move considering the heat outside. Ribs were up next at 12:30 and I had one fantastic rib. That's all, just 1. There were prettier ribs in the group we got, but taste and texture were perfect on just one. Pulled pork came next at 1 pm. Honestly, I am not a big pulled pork fan, however on this day there were two pretty good samples. Some decent bark and smoke flavor made all the difference. Brisket arrived at 1:30 pm and honestly I was not expecting much. My experience the last 3 years judging this event suggested the brisket would be pretty average. Make that 4 years. When you see a box with brisket slices heavily painted with sauce that's never a good sign, in my eyes. Taste proved it. Now no doubt there was some fantastic brisket at one or more tables, but not at ours. Overall, Scott and I had way better food during our trip to central Texas last week. After the 4 main meats we had some ancillary categories to judge as well. Some folks left but everyone at our table hung on like troopers. Our first sample was Ranchers Reserve steak. 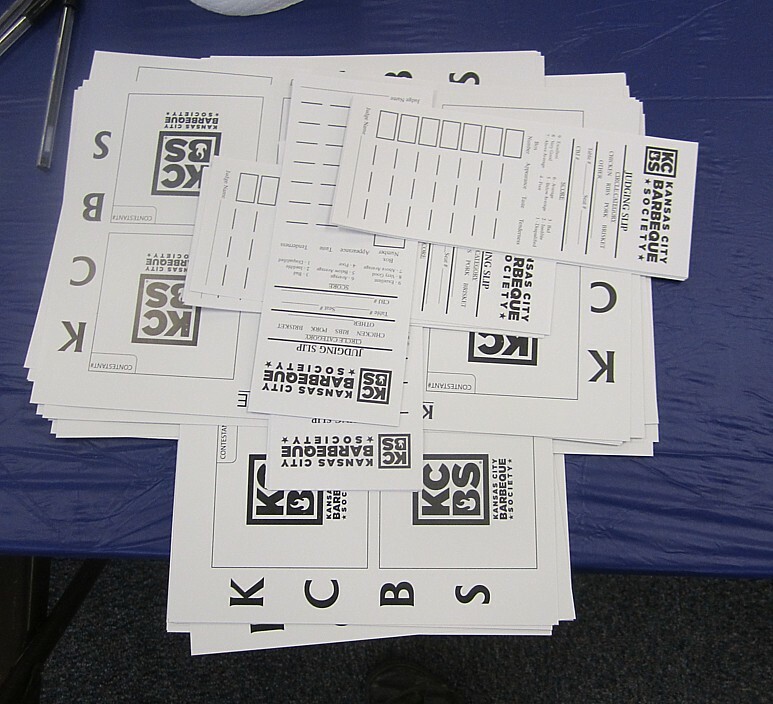 As this was a non-KCBS category, the rules were very open and we got a hodge podge of entries. Apparently the rules were just "make something using our steak". I won't describe the entries we saw, but it made it difficult to judge on appearance as we were not sure if we were judging eye appeal for steak, or just for the food item presented. Some of the items had no steak visible. 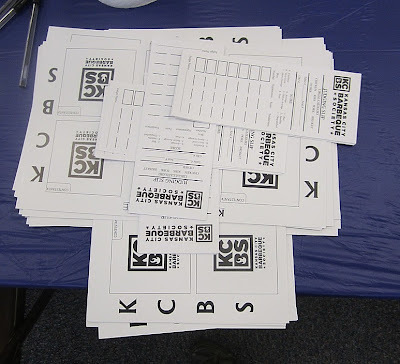 A little better instruction from the KCBS reps would have been helpful here and we were constantly calling the reps over to answer questions. The only fall out from this category would be that I am not anxious to use Ranchers Reserve. Most of the meat was pretty tough, but maybe that's the cook's fault. The next categories were sauce and bacon. Yes, BACON! Unfortunately in the table assignments we drew the sauce straw. Some of the bacon entries looked amazing, but we didn't get any. Wah! Instead we got 6 large coffee cups filled with sauce. Only one was truly outstanding. I gave it 9's across the board. One of only 2 entries I honored with that score all day long. It was truly excellent sauce and I would buy some if I knew where to get it. Of course, I never will because it is double blind judging. A couple of the entries were downright nasty. At least this year we did not get a cup full of ketchup! Hah! The last 2 categories were beans and desserts. Once again they split the categories between the remaining tables. Our table captain was pulled aside by a KCBS rep and told we would get desserts. Yay!!! Then Larry, one of the KCBS reps, took the mic and announced the tables getting desserts. Now we were on the beans list. Booooo! The dessert tables cheered. Our table captain went off to gather our tray of samples and was gone a long time. When he came back he brought desserts!! Yay!!! I won't describe what we sampled but there was one dessert I gave 9's across the board. There was another that was almost that good, garnering two 9's and one 8 from me. Very yummy stuff. Another great time eating BBQ and meeting some very nice people. I hope to be back judging that event again next year.